In celebration of the Subaru 360 mini car that made its debut 60 years ago, Subaru sends a rare Forester to the Russian market. We aren't sure if Subaru had extra parts laying around they needed to get rid of, but this limited edition 2018 Forester gets a 2.0-liter naturally aspirated engine and a 6-speed manual gearbox to set this model apart from those found in the found in the US. 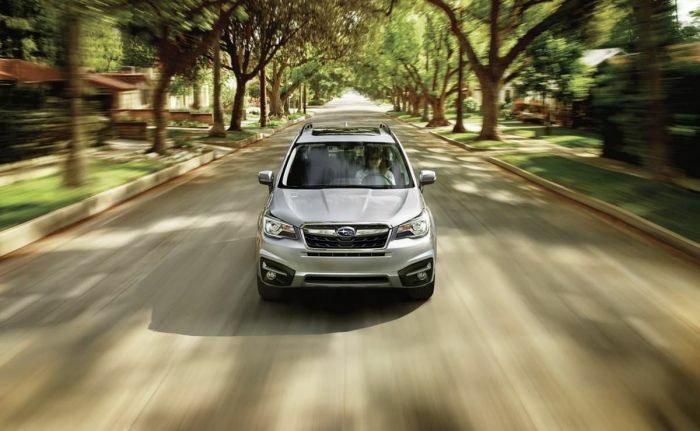 Subaru axed the 6-speed manual transmission in U.S. models starting with the fifth-generation 2019 Forester SUV. Subaru never offered a 2.0-liter boxer that wasn’t turbocharged in the American compact SUV. Subaru says this special Forester will be the last model-ever for order with a manual transmission. Subaru says they will only build 150 of these 60th-anniversary editions for the Russian market. The 2.0 liter Boxer is rated at 150 hp, the same as the Impreza compact, and when paired with the manual gearbox, the Japanese automaker gives Russians a sportier model. Externally, the jubilee version gets a special sports front bumper, unique 18-inch wheels, an exclusive seat trim available for this version only, as well as LED headlamps and badges, showing it’s the " great-grandfather "of the Subaru 360. Forester fans in the U.S. and other parts of the globe lament the new fifth-generation 2019 Forester won’t be offered with a manual gearbox ever again. Also gone forever is the Forester 2.0XT turbocharged model. The nameplate indicating a special series and serial number in the series is located in the cabin. The serial number indicates it’s one of 150 cars that will be released in the "60th Anniversary" package. In addition, buyers get the limited edition model with aluminum pedals and floor mats with embroidery. Russia gets a rare 60th-anniversary limited edition 2018 Subaru Forester with a 2.0-liter Boxer engine and the last-ever 6-speed manual Forester ever produced.